Boca Raton FC defeated Uruguay Kendall FC 1-0 at Broward College on Saturday night to complete their sweep of the American Premier Soccer League championships in their Inaugural Season. After defeating this same Uruguay Kendall team to win the Regular Season Championship, Boca Raton took their 9-game win streak to the APSL Finals as they defeated a determined Uruguay Kendall squad 1-0 to take the APSL Title to Boca Raton. The game started off slow as both teams were evenly matched and none were able to find a goal. Boca’s leading goalscorer Colby Burdette had a few clean shots on goal but was unable to give Boca the much-needed lead. Goalkeeper Derrick Santos was once again solid on goal as he defended a strong Uruguay Kendall attack in the first half. In the second half is where things got interesting. Midfielder Gabe Taboada broke the deadlock in the 47th minute as he beat the keeper to give Boca the 1-0. The second half was a chippy one. Despite being two men down due to red cards in the second half, Uruguay Kendall continued to attack and it was Santos and the Boca Raton FC defense who were able to keep the Uruguayans at bay. 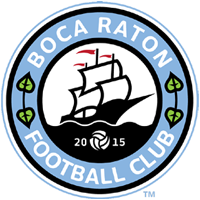 Boca Raton FC finishes their inaugural season with at 10-0-1 (W-D-L) record in the American Premier Soccer League.